The company and its partner Bridgestone Americas wow the judges at the Stevie Awards for Sales & Customer Service 2017, earning Gold for Bridgestone’s sales training program. San Francisco, California, March 13, 2018 — At the Stevie Awards for Sales & Customer Service 2017, SweetRush, along with its partner Bridgestone Americas, was given top honors in the Sales Training or Coaching Program of the Year category. The Gold-winning sales training program, an educational network for tire sales associates, combines eLearning, learning games, and a gamified learning portal. 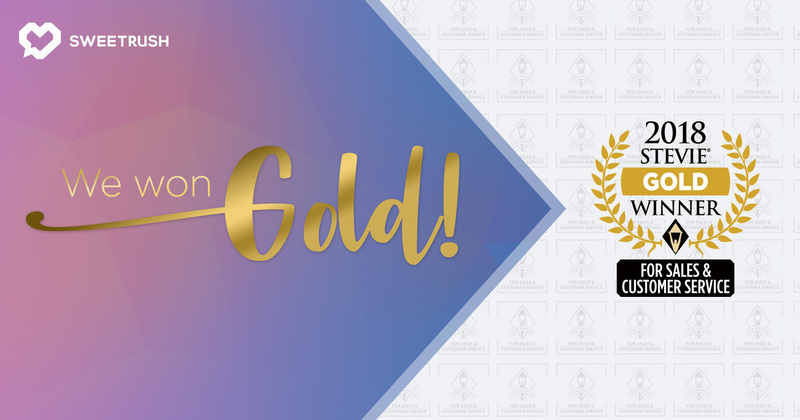 More than 2,500 nominations from organizations of all sizes and in virtually every industry were evaluated at the Stevie Awards for Sales & Customer Service 2017. Winners were determined by the average scores of more than 150 professionals worldwide. The complete list of winners is available on the Stevie Awards for Sales & Customer Service website. Business, and the Stevie Awards for Sales & Customer Service. Stevie Awards competitions receive more than 10,000 entries each year from organizations in more than 60 nations. Honoring organizations of all types and sizes and the people behind them, the Stevies recognize outstanding performances in the workplace worldwide. Learn more about the Stevie Awards at www.StevieAwards.com.